for people to encounter God and His Word. In November 2013, the Philippines was bombarded by Typhoon Haiyan, one of the strongest storms in recent history. 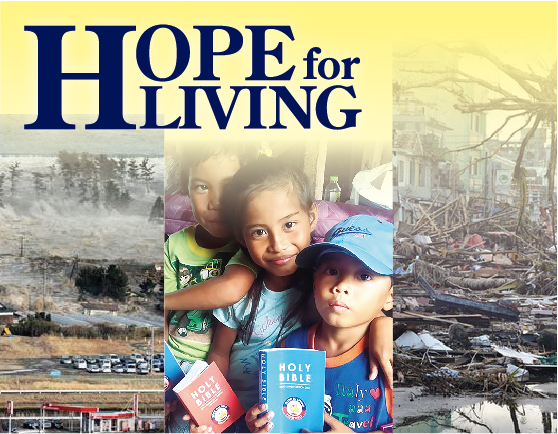 In response, New Life Ministries worked with local churches in the hardest hit area, Tacloban City and its surroundings, through the HOPE for LIVING Philippines program to provide a feeding and discipleship program for the local children, food for both the body and the soul. 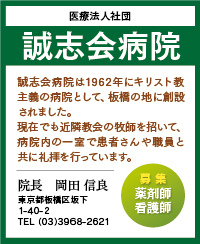 On March 11, 2011, Japan was rocked by one of the greatest disasters in its history, leaving deep wounds on the hearts of the Japanese people. 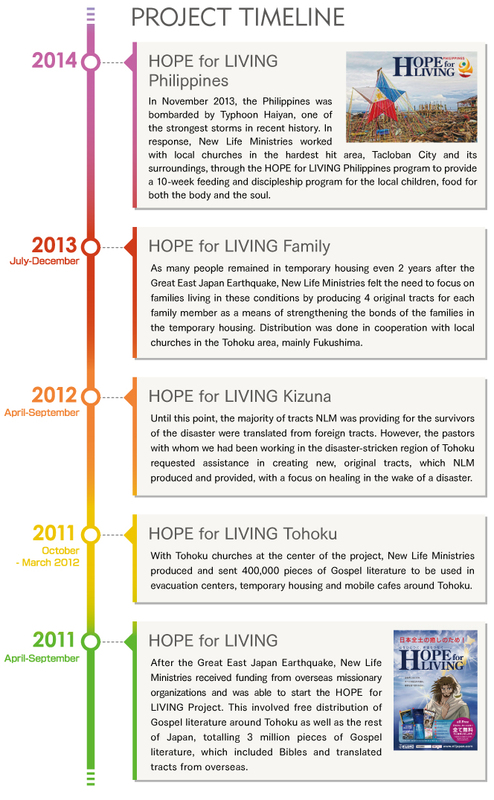 New Life Ministries did what it could to help the people of Tohoku in northern Japan to recover spiritually by providing heart care through Gospel literature. Through HOPE for LIVING, people were able to encounter God’s Word, receiving Bibles and Gospel literature, and find living hope and salvation for their souls.